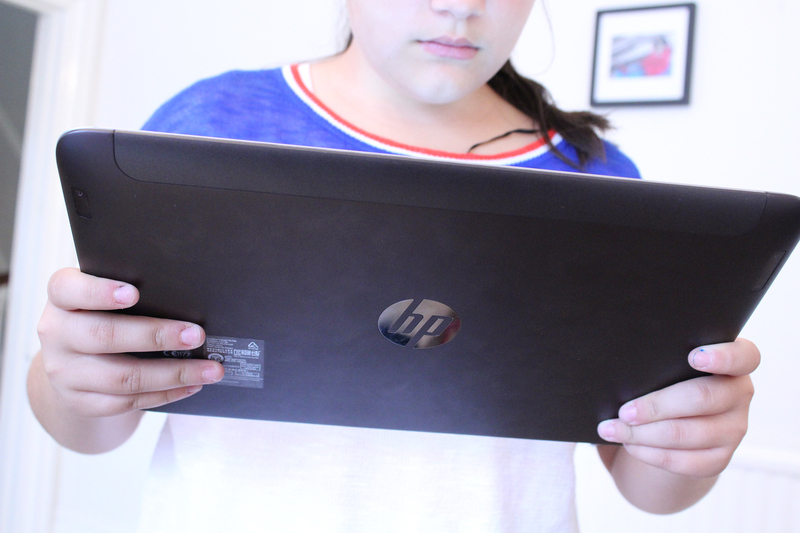 The HP Spectre 13 x2 Pro PC is a 13 inch Ultrabook from HP, running Windows 8.1. It has a detachable screen so as well as getting a fully functioning, high spec Windows laptop you also get a 13 inch tablet. The first thing you notice about the Spectre is it’s weight and build quality. It’s extremely well-made and has a reassuring weight to it, without being heavy. Both the screen and the keyboard parts are very sturdy indeed. Out of the box, the Windows OS loads quickly and conducts all the necessary updates in less than 5 minutes over a standard home broadband connection. The internal SSD hard drive ensures that almost tasks are completed quickly, surfing the web is a breeze and switching between user accounts quick and hassle-free (computers with non SSD hard drives are pretty slow in comparison, and families with multiple user accounts will certainly feel the pain of spending 2 to 3 minutes waiting to switch between Dads account to one of the children’s). For those unfamiliar with the new(isn) versions of the Windows operating system, everything is now centred around a touch screen interface. This works well in tablet mode, but when using the Spectre for business or homework tasks it makes more sense to use the traditional desktop mode, which can be accessed by tapping the ‘Desktop’ icon, represented by your chosen wallpaper. To return to the ‘touch’ interface just click (or touch) on the traditional and familiar ‘Start’ icon on the bottom left of the screen. I had several browser windows open, along with Spotify and Microsoft Word (not included) at the same time, and the Spectre performed very well with no crashing or slowness at all. The 13 inch LED screen is crisp and colours are vibrant and rich. Movies are full of depth and pictures maintain excellent detail and clarity. This system also includes a built in HD webcam for use with Skype and other video messaging services. The Spectre has a touchpad, which is responsive to touch gestures as well as traditional clicks, two-finger taps and swipes – similar to the Apple system. 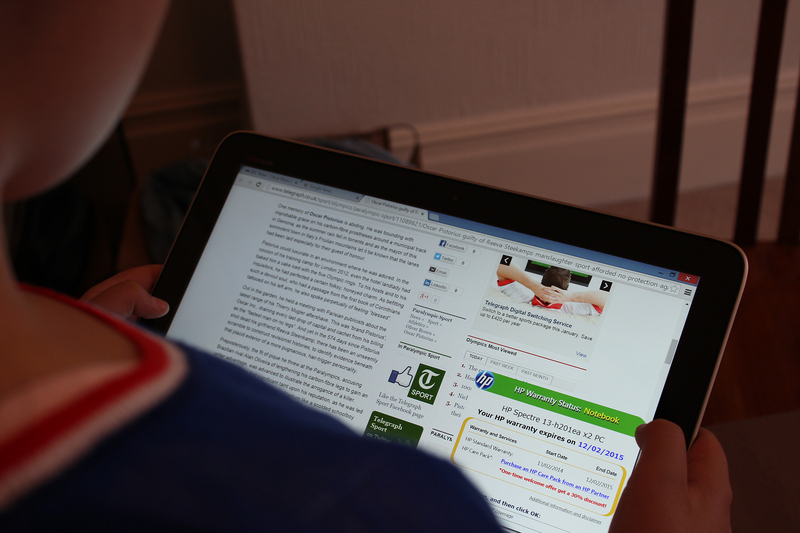 The touchpad has a nice, tactile response when clicking items too. You can also connect an external mouse via Bluetooth or USB if desired. One of the absolute standout features of the HP Spectre is the inclusion of a Micro Sim card slot. This is a feature missing on so many laptops currently, and a very welcome addition in my opinion. Whilst on the Eurostar, we took a sim from Three UK and the kids were able to stream inlayer etc without needing a Wifi signal. Once through the tunnel and on the French side our 3 year old was able to stream songs about cats on Youtube with no problems at all. This sim card slot has no carrier restrictions whatsoever, so you are free to pick up a local sim wherever you are to keep connected. A very nice touch indeed. Upon detaching the screen using the simple and sturdy release button, the Spectre becomes a 13 inch tablet; complete with all the bells and whistles of the Windows operating system. I was able to open the DOS command prompt and type commands directly into the screen (a habit from my younger days as web designer), which I found VERY cool even if no-one else in our family did! It’s a curious feeling indeed, holding a 13 inch tablet. It takes some getting used to, but our youngest especially enjoyed being able to watch her favourite shows whilst holding the device like an iPad. 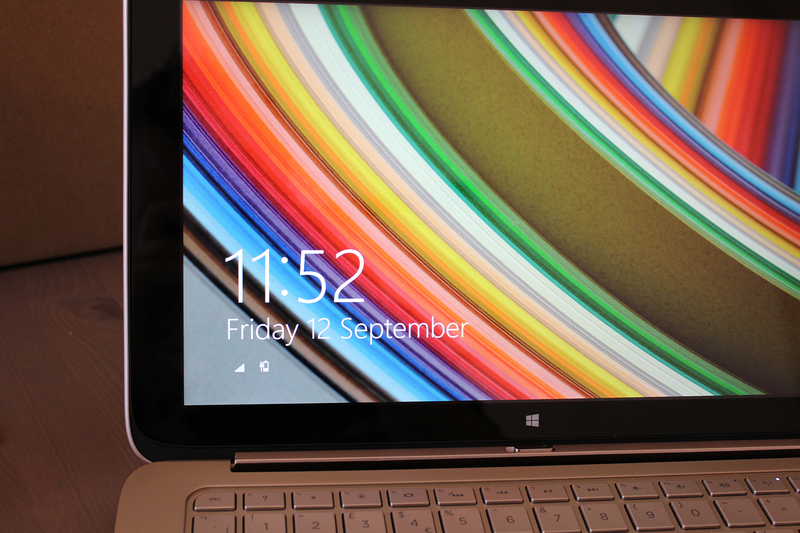 The HP Spectre really does deliver the best of the Desktop and tablet worlds in one device. Battery time on the Spectre is good; we got around 8 hours with the tablet portion detached and just under 10 hours when docked with the keyboard. For a laptop this size, this is very good indeed. Beats Audio comes as standard with the Spectre, giving clear, clean and crisp audio from the built in speakers as well as when plugged in via headphones. HP’s Spectre is an excellent choice for a family computer. It’s versatility and tablet capabilities mean that it’s a lot more portable than a traditional laptop, without sacrificing any of the power. It’s more than capable of multiple window web browsing, Office use and Youtube etc, as well as completing more advanced Photoshop and Lightroom (included with this laptop) tasks with ease. 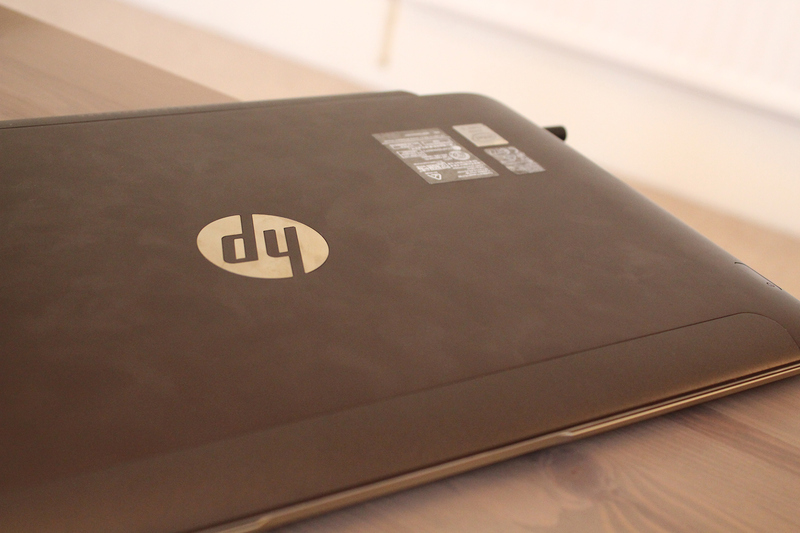 Priced at around £830 including VAT, the HP Spectre offers excellent value of money.